Northern bayberry (Morella Pensylvania), once known as (Myrica pensylvanica) is a great shrub for Kentucky landscapes that doesn't seem to be as widely used as it once was in recent years. This deciduous to semi-evergreen shrub varies in height from 5ft to 12ft, though I have seen a planting at the Campbell County Extension office in Northern KY that approaches 20ft in height! Typically the habit is rounded, and shrubs sucker at the edges to form dense mounds. 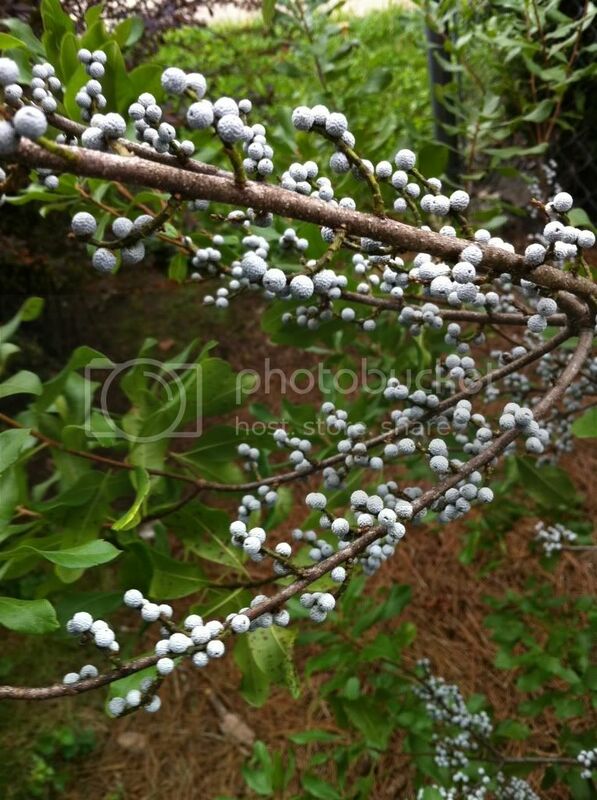 Female plants are covered in beautiful bright blue-gray to white small fruits.The waxy coating on fruits has been historically used for the nicely aromatic bayberry candles. Use northern bayberry in massing, borders, foundation plantings, and along roadways where a salt tolerant plant is needed. Highly adaptable, this plant thrives in poor soil, sunny conditions (does well in part shade too), and tolerates well our typically heavy clay soils of Kentucky. 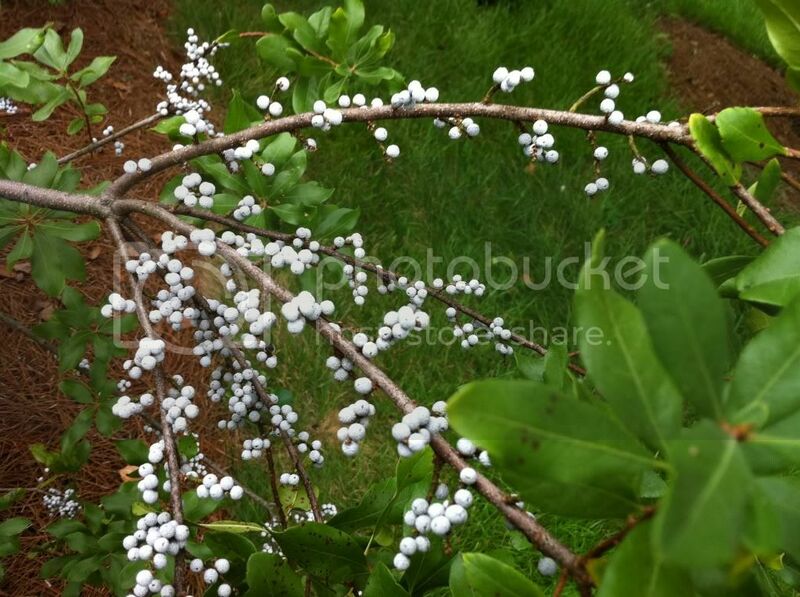 Consider trying this beautiful and durable east coast native shrub in your landscape today!